Norsvald was founded in 2016 on the notion that an authentic participatory experience aboard an awe inspiring Viking ship of unparalleled beauty and historical interest — the first in the country — combined with a shared love of the outdoors as well as our beautiful coastline could ‘transport’ our clients back in time. Our idea is to offer multi sensory experiential learning on the water to small groups — for workplace, friends and families. In such an environment, guided by our expert crew we would create a participatory experience unlike no other. Through sailing and rowing and other activities aboard our Viking boat Polaris, Norsvald taps into the power and strength of people connected by a common purpose in life or business. In business it’s called team building; in life it’s called fun! A few years ago, while looking for a job, Boyd visited the Viking Ship Museum in Roskilde, Denmark and felt immediately the community aboard as well as the impact of small groups working together to row and sail the amazing ships on display there. 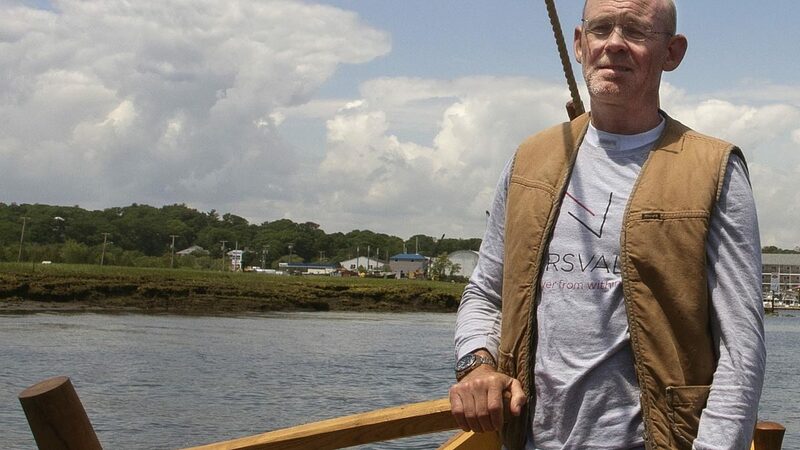 Setting a course away from a full-on corporate life, Boyd has thought extensively about bringing some of the magic of these boats to New England along with his philosophy:to live life with a healthy mix of productivity, adventure & learning. With the completion of Polaris his vision of a small business based around corporate training aboard a Viking ship is becoming real. 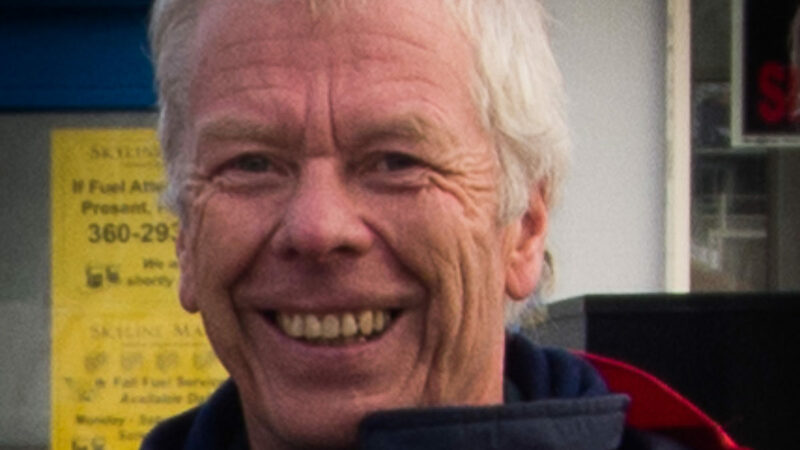 A Leader and manager having spent more than thirty years in management, marketing, product development and engineering roles in consumer electronics, Boyd is an active sailor with more than 40 years of sailing & boating experience, including competition & coaching. He holds a 50 ton USCG captain's license. 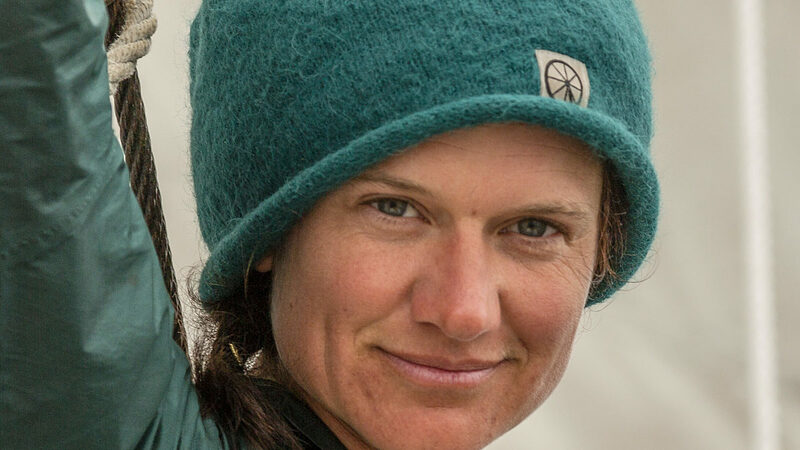 Arista Holden — From having skippered Polaris for the first sea trials in December 2017, Arista will direct Norsvald’s crew training and on-water leadership programs as well as perform duties as an occasional skipper aboard Polaris’ summer programs starting in 2018. Arista is an instructor, teacher, writer and community leader. 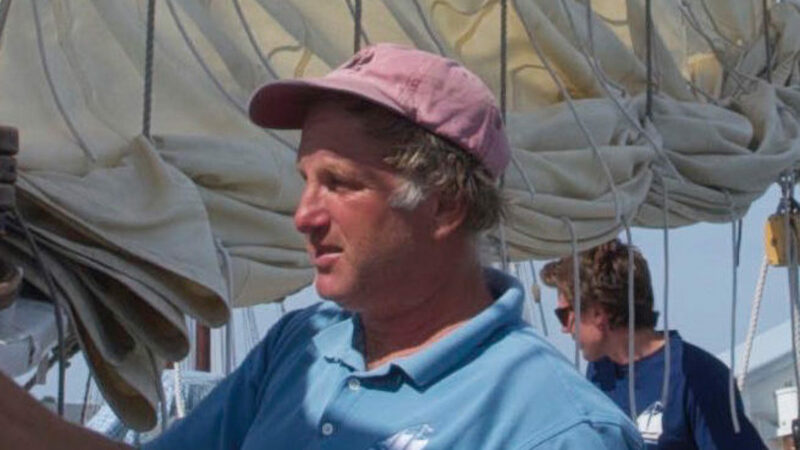 Originally from midcoast Maine, Arista grew up sailing in various traditional small craft throughout Penobscot Bay. A captain and long-time seamanship instructor for adult and youth programs including Outward Bound, National Outdoor Leadership school, Atlantic Challenge, the Nova Scotia Sea School and the Wooden Boat School. A student of languages, culture and craft she has traveled, sailed, taught and studied all over the world. In April 2017, she sailed 900 miles of the Norwegian coast in a 42 ft. square-rigged fembøring with Fosen Folkehøgskole (Folk School). 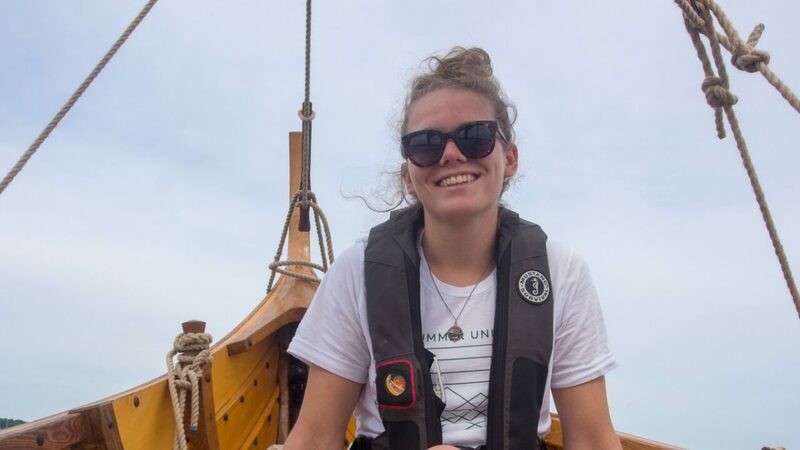 As a Project Manager with the Scholarshipwrights in Rockland, Maine Arista has led Seamanship Training and Boatbuilding Programs in the US and abroad and been involved with writing, editing, fundraising, and project Management for that organization. She holds a B.A. from Hampshire College, current Wilderness First Responder and CPR certifications and a 50-ton Masters captain's license. Matthias Mokros is an independent consultant and facilitator for corporate training and coaching for individuals and teams. He teaches Organizational Behavior at Harvard University Extension School, and previously taught Leadership and Leadership skills at HULT International Business School. He has been with Outward Bound for 26 years, including Managing Director for the Koenigsberg Center in northern Germany (10 miles from the Viking settlement Hedeby / Haithabu!). He has worked in Europe, the U.S. and Singapore with Outward Bound Professional as Program Manager and Senior Facilitator. As a livelong sailor he has a special interest in traditional sailboats and crossed the Atlantic twice on a three-masted Topsail-Schooner. Cori Ward graduated from the University of Vermont in 2017 with a degree in Public Communications. She works part time for Norsvald by running our Facebook page and Instagram account . She also contributes to website content and Norsvald events. Having lived on the North Shore her whole life, Cori has always loved spending time on the water and is so excited to be a part of the Norsvald crew. Over his career spanning 35 years building and repairing wooden boats, Jay Smith has become the nation’s leading expert in Nordic lapstrake boat construction. A master craftsman in his own right, he runs his shop, Aspoya Boats out of Anacortes, WA. The name is taken from the place in Norway, where he began his career as an apprentice at a small shop run by a distant relation. 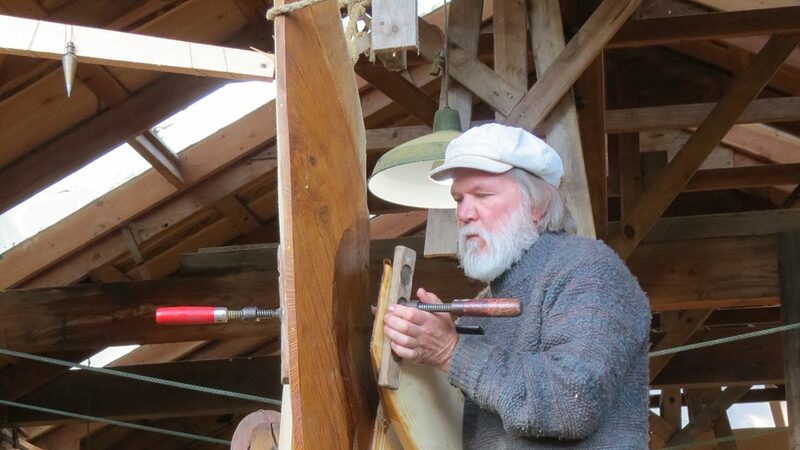 Jay later received a grant from the Danmark-America foundation to work and study traditional Faeorese boatbuilding. When not out in his shop, Jay maintains an extensive library and tool collection, researches Nordic boat building traditions, and passes on his knowledge via hands-on workshops at the Wooden Boat School in Brooklin, ME and the Northwest School of Wooden Boatbuilding in Port Hadlock, WA. In the months since the completion of Polaris, Jay was commissioned and delivered a one-fifth scale accurate model of Oslo’s Saga-Oseberg ship, which, since its opening earlier this month, has possibly been the most photographed exhibit at the New Nordic Museum in Seattle. Master shipwright, designer, & owner of Schooner Ardelle. National Heritage Fellow 2012. Harold is latest in a family shipbuilding tradition that dates back to the 1630s in Essex, MA.